A source that can accept input step by step, and can close input explicitly. 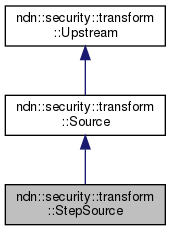 This source will not send data into the transformation chain when the chain is constructed. Input will be explicitly sent into the chain using write(...) and will be closed explicitly using end(). Definition at line 45 of file step-source.hpp. 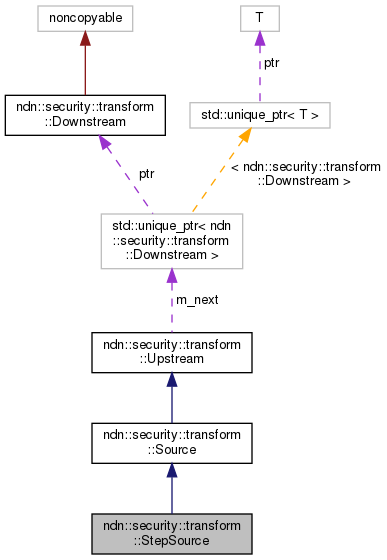 Accept input data and directly write input into next transformation module. One can keep calling this method to until end() is called, which indicates the end of input. After that, calling this method will cause Error. Definition at line 29 of file step-source.cpp. Close the input interface and directly notify the next module the end of input. Definition at line 35 of file step-source.cpp.